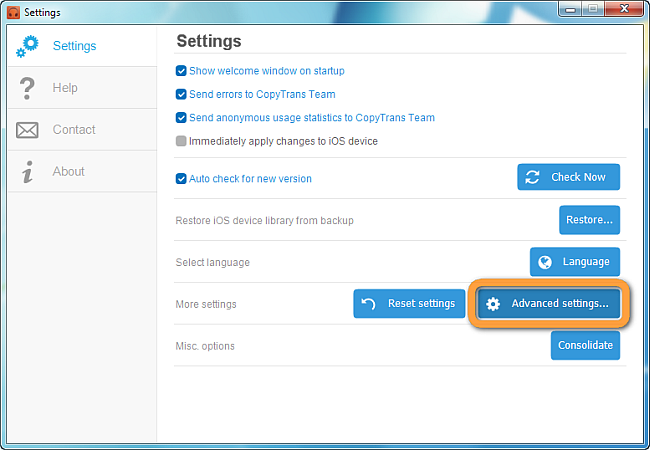 CopyTrans Manager offers a lot of advanced settings that can be changed by experienced computer users. This opens the “Advanced settings” window. 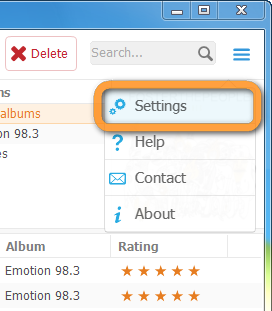 Browse through the settings or search for a specific setting using the search box at the top. Settings marked in bold blue are not using the default value.